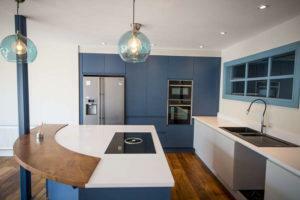 When renovating or adding an extension to your home, you are provided with the opportunity to have a home that meets all of your requirements and is specific to your needs. The opportunities to incorporate technology into your home are endless and doing so can make your life so more convenient, easier and ultimately stress-free. Technology is finding new ways to bring homes to life into the digital age. 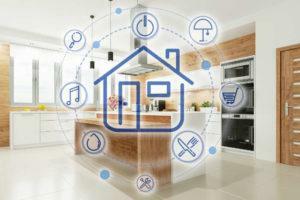 Technology for your home is smarter than ever before. It is not just for show it can be handy and very useful. The newest technologies can save you time effort and money. There are so many different brands, gadgets, devices, and apps to consider as well as so many elements in the home that could be outfitted. Many people are unaware of the importance and capabilities of home technology. The appeal of your life made simpler by a fingertip of a piece of technology is hard to comprehend but it is certainly true. These devices and applications can be used for purposes relating to entertainment, lighting, security systems, heating and cooling systems, cooking appliances and lots more. There are so much tech products that can be installed to reflect your personality and aid your lifestyle. Technology doesn’t have to sacrifice style in most cases it adds to the style of your home. Whether you’re a tech genius or not tech savvy when it comes to gadgets, devices, and apps, there is something to suit everyone and their needs. If you are not tech savvy, you can manage all of your home devices in the one place which is very convenient. By simply learning how to operate the one interface you can tap into the different devices throughout your home to your specifications.